Made a nice addition to new grandparents Christmas tree. I HAVE PICKED 3 DIFFERENT ORNAMENTS THIS YEAR (2018) BECAUSE THEY ARE SO CUTE AND A NICE REMEMBERANCE. 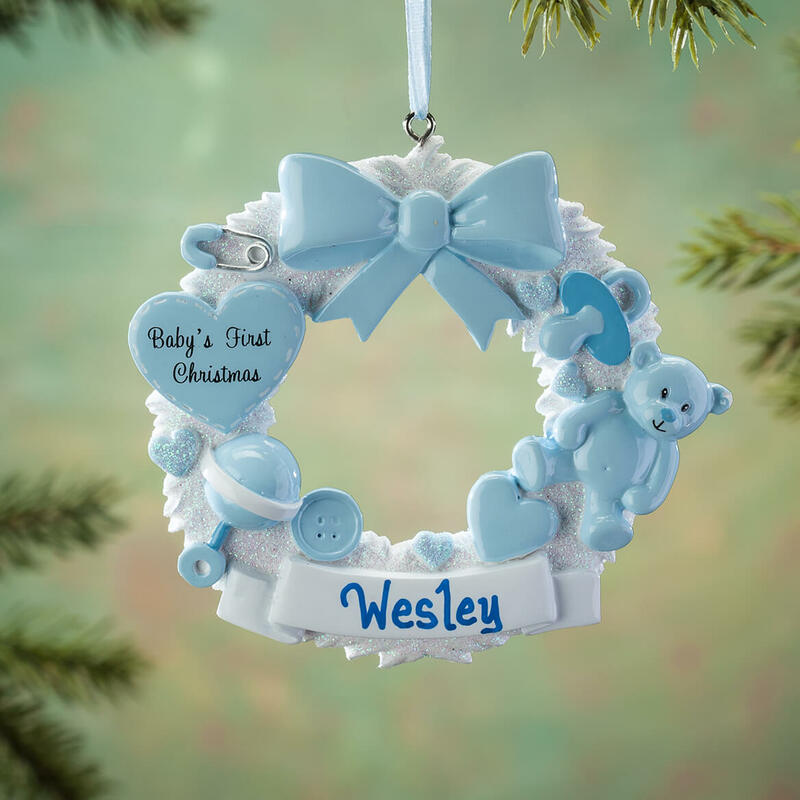 I liked the wreath design, with the rattle, pacifier and teddy bear. 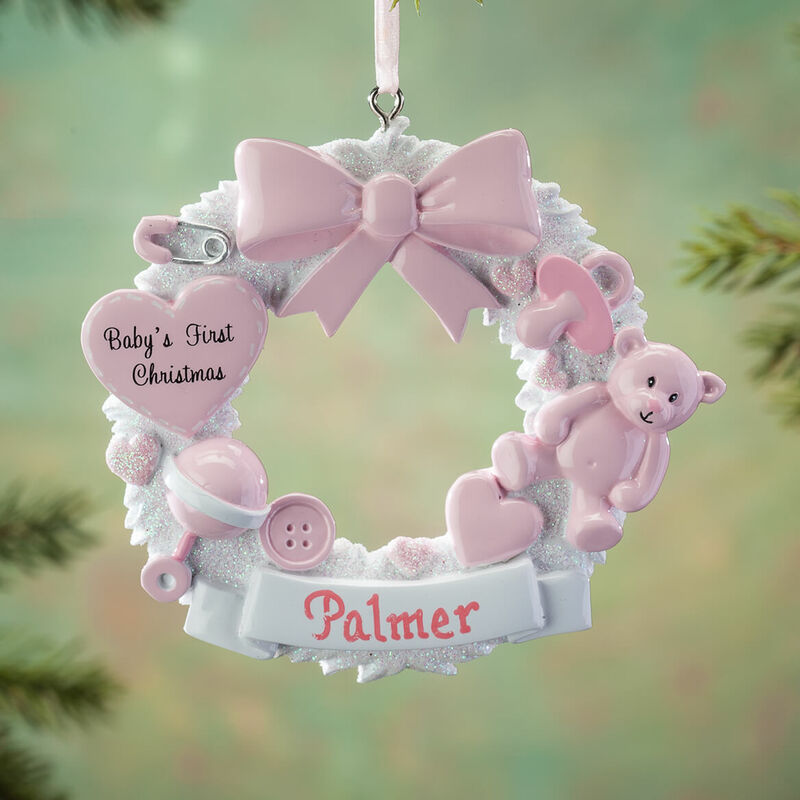 It shows Christmas and baby themes. Have ordered previous personalized items and was very pleased with the quality and prices. I feel like this ornament is missing a spot for the year. Maybe on the heart if allowed . Did anyone add the year after purchase ? BEST ANSWER: I actually had the year added in the area where a name would have been placed. If you have a short name, five letters or less, you can get both name and year put on. Unfortunately, the name I needed to add was longer than that. I had the year placed in that area and wrote the name on the back of the ornament. Although I would have liked to have both on the front, it is such an adorable ornament that I didn't mind. I bought it for my great niece and her mother loved it! Thank you for your question. There is room for ten letters so depending on the length of the name there should be enough space for the year. We hope this information will be of help to you.